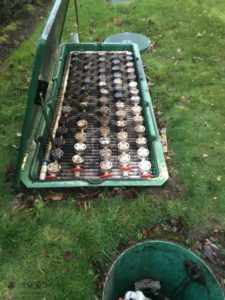 It can be quite stressful to deal with septic system problems. If your septic system is acting out, call us for professional septic repair services. Are you in the middle of a septic emergency situation? VAC-TEC LLC specializes in providing emergency septic repair services in Mercer Island, WA and the surrounding areas. We are here 24 hours a day, 365 days a year to meet your emergency septic repair needs in Mercer Island. As a leader in septic services industry, we pride ourselves on providing prompt, reliable solutions for all kinds of septic issues. So, if you are looking for a company that not only offers quality solutions but also a quality customer service, call us. We offer our emergency septic repair services to municipal and commercial clients, and oil field and construction industry. Allow us to keep your septic system working just the way it should with our emergency septic repair services. 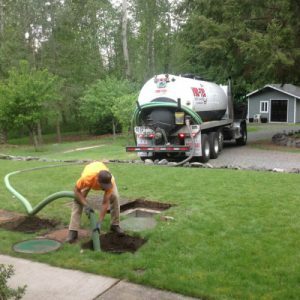 We provide fast, same-day service emergency septic pumping & cleaning services in Mercer Island and the nearby communities. Our team is available 24/7 to resolve any unexpected septic system problems. We not only provide top-notch emergency septic pumping & cleaning services, we also educate you, our client, on the best practices to preventing the need for emergency septic pumping & cleaning. Call us for a fast, friendly emergency septic pumping & cleaning. We are an environmentally conscious company. That is why we make sure to dispose of the septic waste in a safe and legal manner. Client satisfaction is our number one priority. We hope that you give us an opportunity to meet your in emergency septic pumping & cleaning needs in Mercer Island. 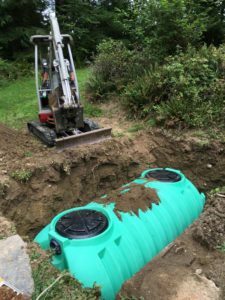 To know more, or to book an emergency septic repair service in Mercer Island or the surrounding areas, feel free to call VAC-TEC LLC at (206) 339-0039. We would love to serve you!